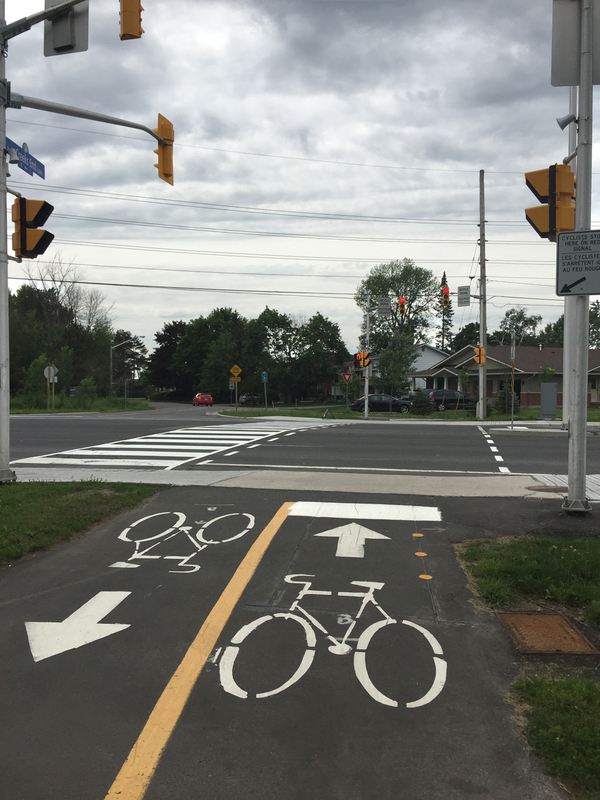 Laura was asking about a bike commute route from the intersection of Woodroffe and Carling Avenues to approximately where Herzberg Road becomes Terry Fox Drive in Kanata. Here’s the route I tested. 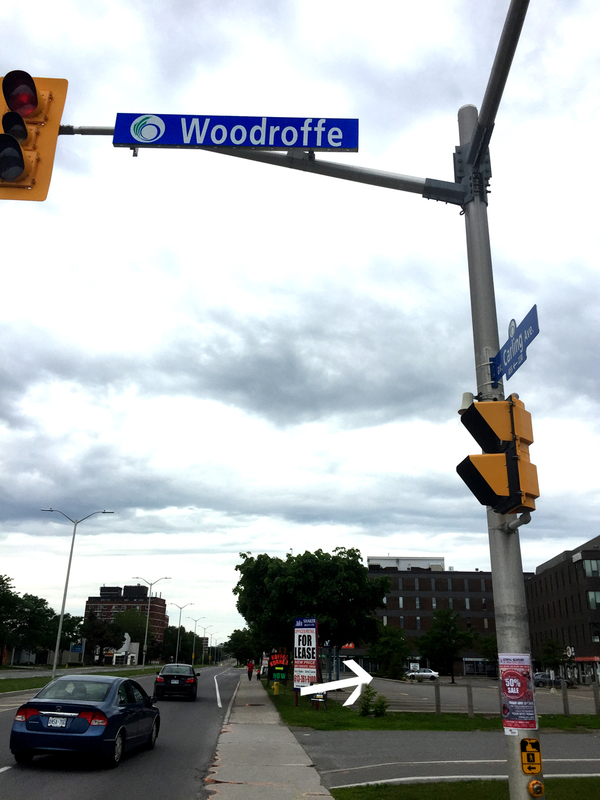 Carling & Woodroffe is a busy extended traffic intersection – not the most pleasant place to hang out on a bicycle, so I cut through the parking lot to the north to get to Woodland Ave. I then zig-zagged my way along quiet residential streets to the northern end of Edgeworth Avenue. 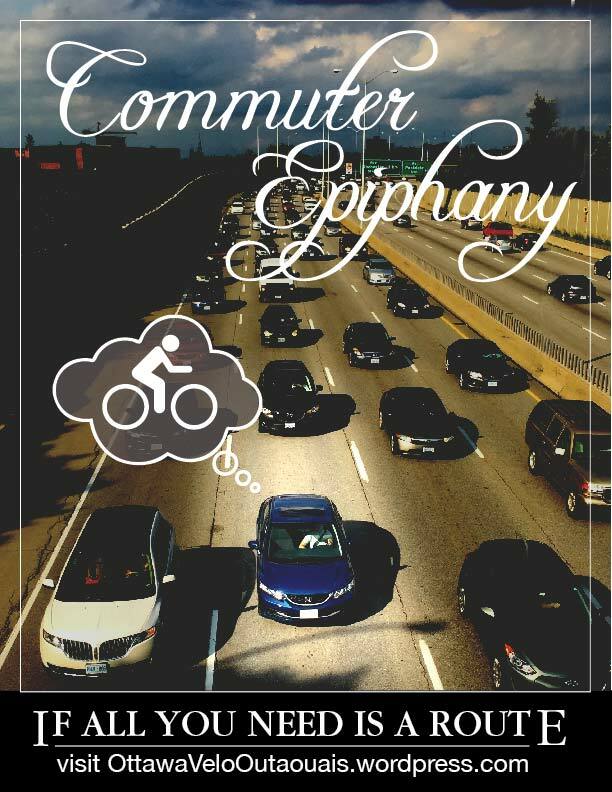 There I crossed at the traffic lights to the north side of Richmond. 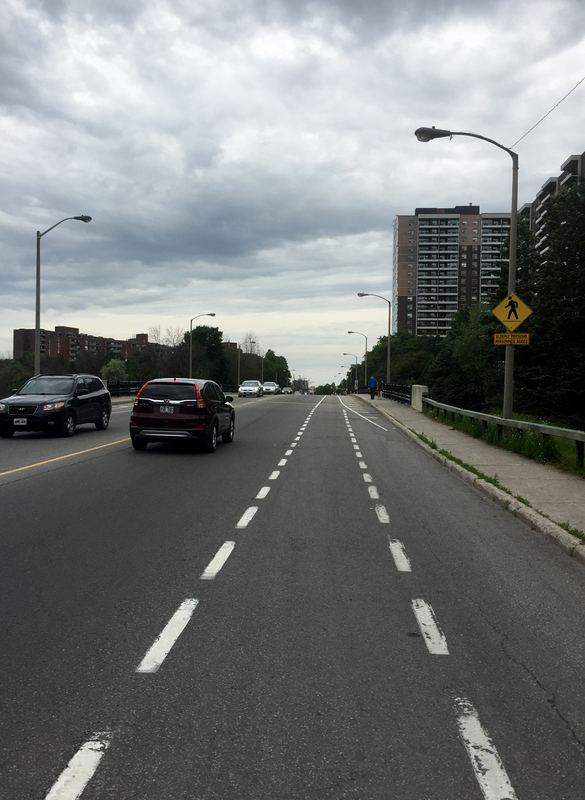 Richmond is usually busy however there are bike lanes that run alongside where it goes up and over the SJAM Parkway. I then turned north off Richmond onto Regina Lane. Regina Lane is one way so the return trip would require crossing Richmond a block further west at the lights at Assaly Street, as suggested by the green line on the above map. 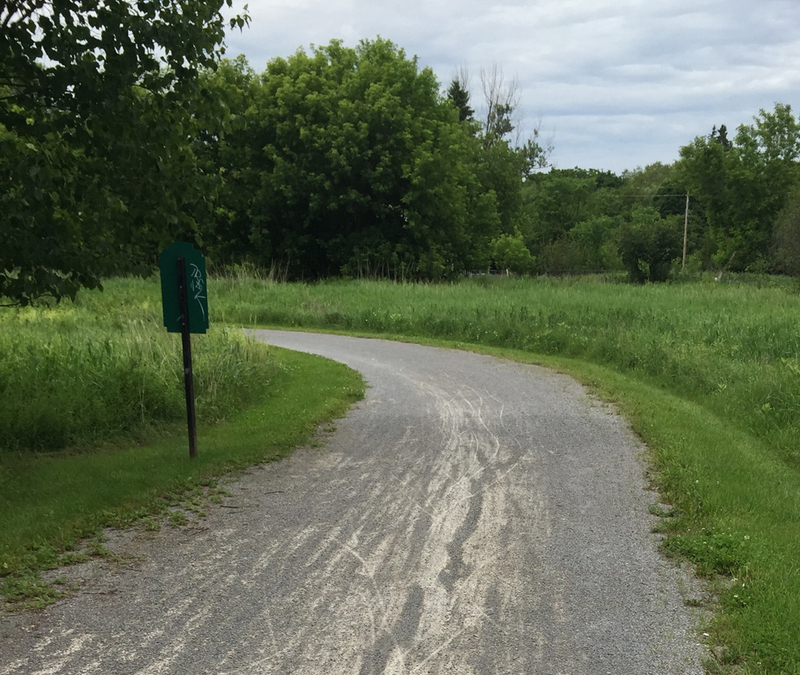 I then wove my way north-westerly along residential streets to a path just off Lincoln Heights Road that leads to the Ottawa River Pathway. 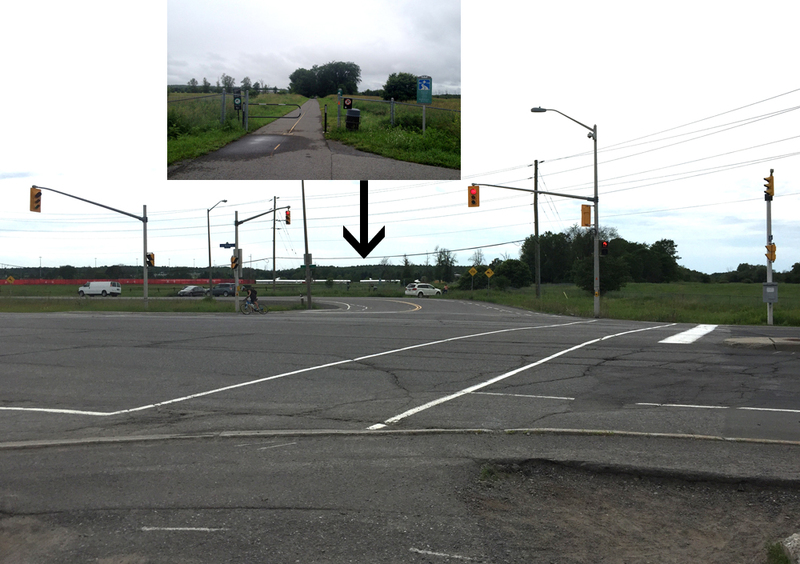 I followed the Ottawa River Pathway west all the way to the cross lights at Carling. 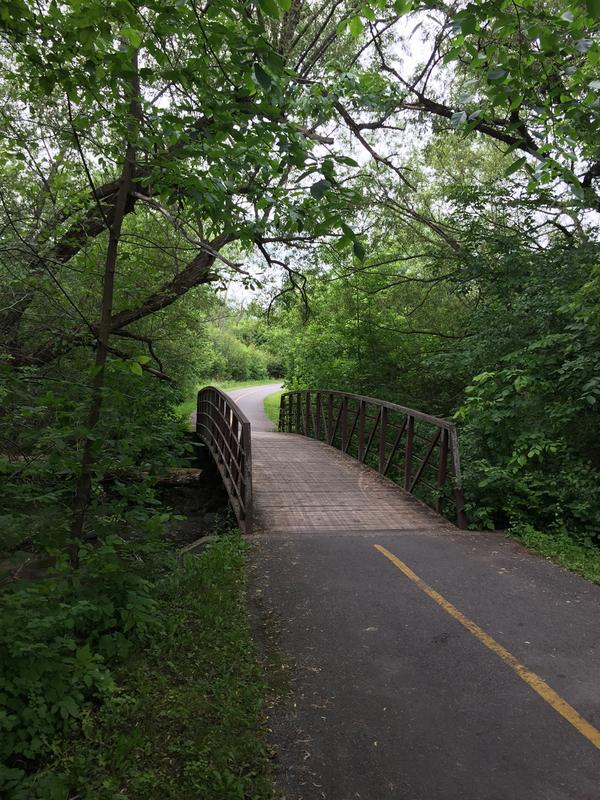 On the opposite side of Carling the path becomes Watts Creek Pathway. 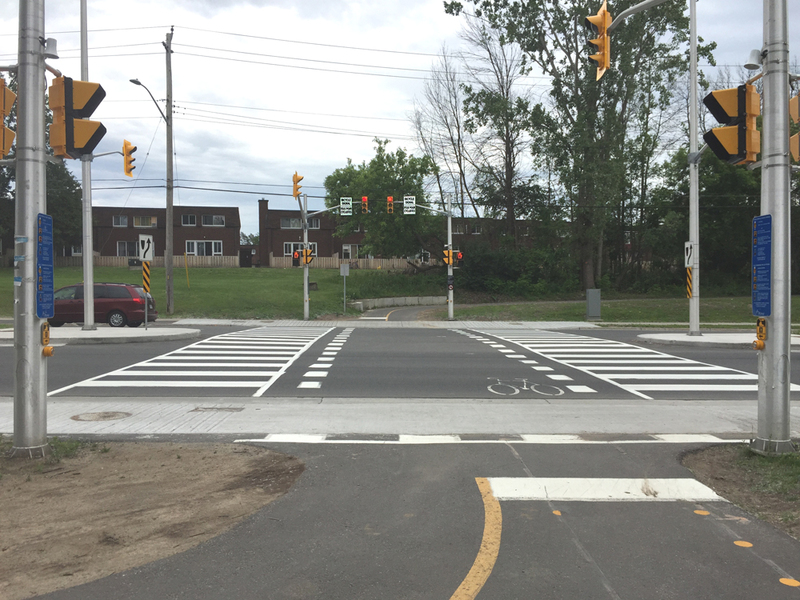 There is another signalized crosswalk where the path meets Holly Acres Road. On the other side of Holly Acres I rode along Aero Drive for a hundred yards or so before continuing on Watts Creek pathway. Watts Creek Pathway rolls along very nicely through wooded area at times within sight of the Queensway. Once arrived at Corkstown Road the path continues as a packed gravel path on the opposite side of the street for a short distance as far as Moodie Drive. Many choose to ride along Corkstown Road, but it doesn’t have a shoulder and many cars like to speed along this street, so if it isn’t raining or too mucky I take to the path. 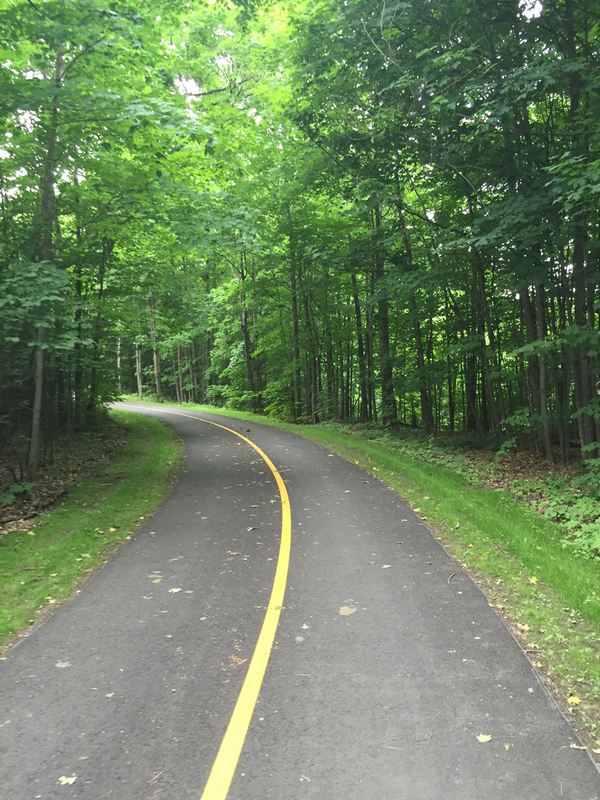 UPDATE 2017: A great new paved path has been created replacing the packed gravel path! 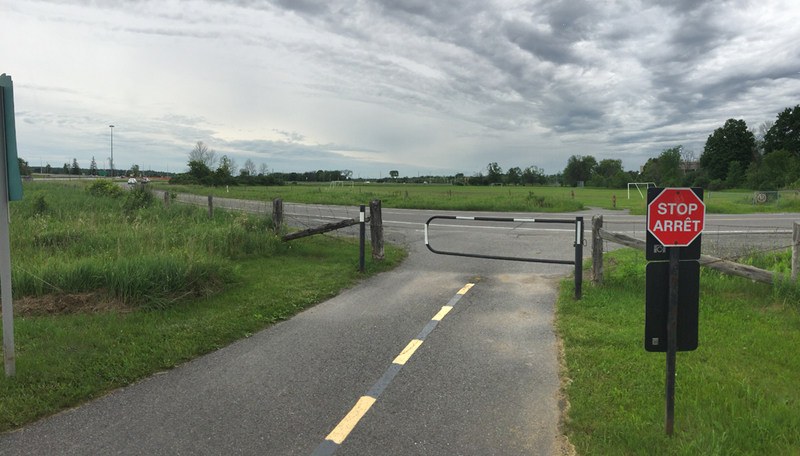 So, no need to bike along Corkstown Road. 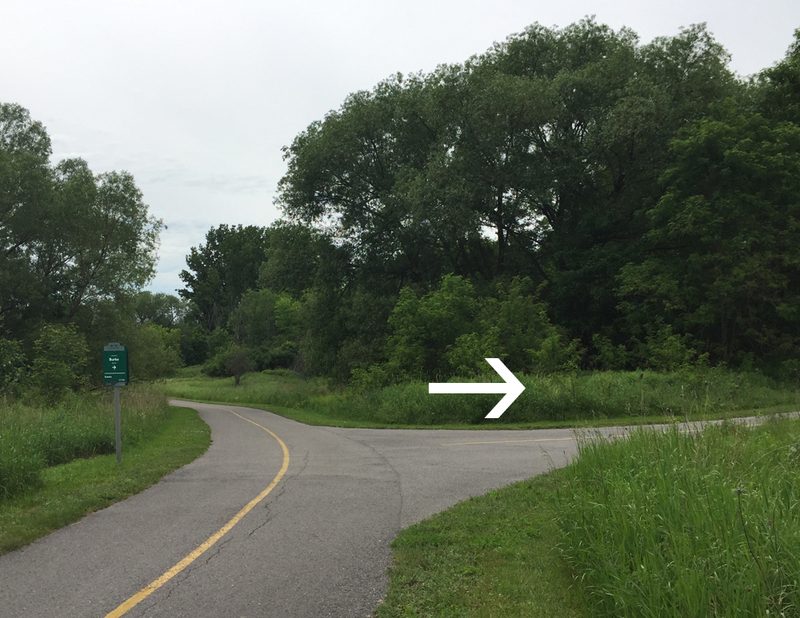 Across Moodie Drive, Watts Creek Pathway continues a short distance along Corkstown Road. 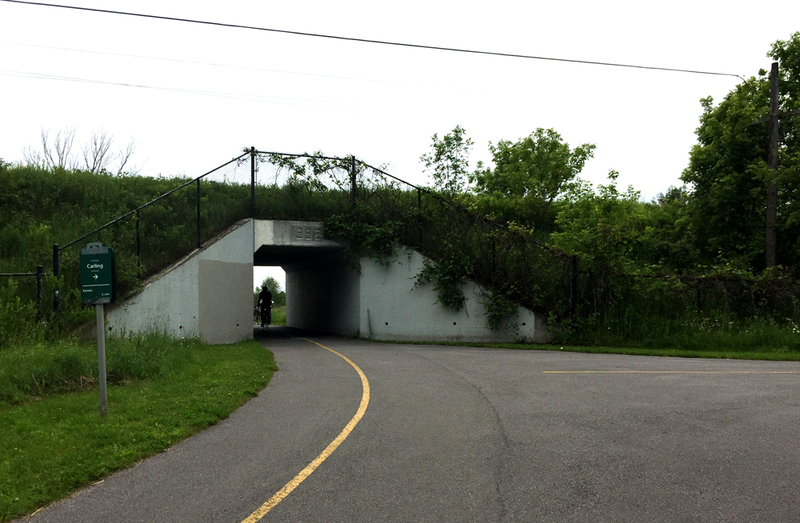 I continued along the path under the train tracks versus taking the split towards Carling. A bit further on I took the exit off the path at the sign indicating Burke Road. 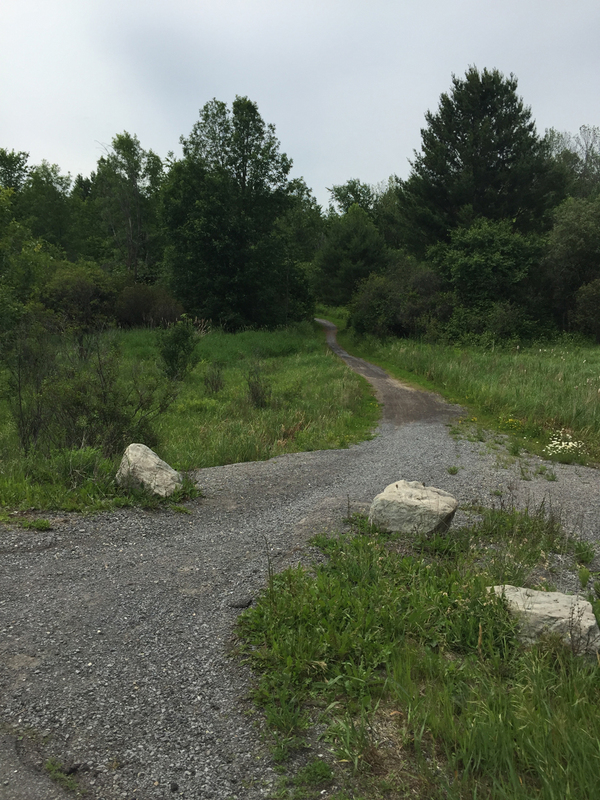 There’s a short section of packed gravel path on the way to to Burke Road. 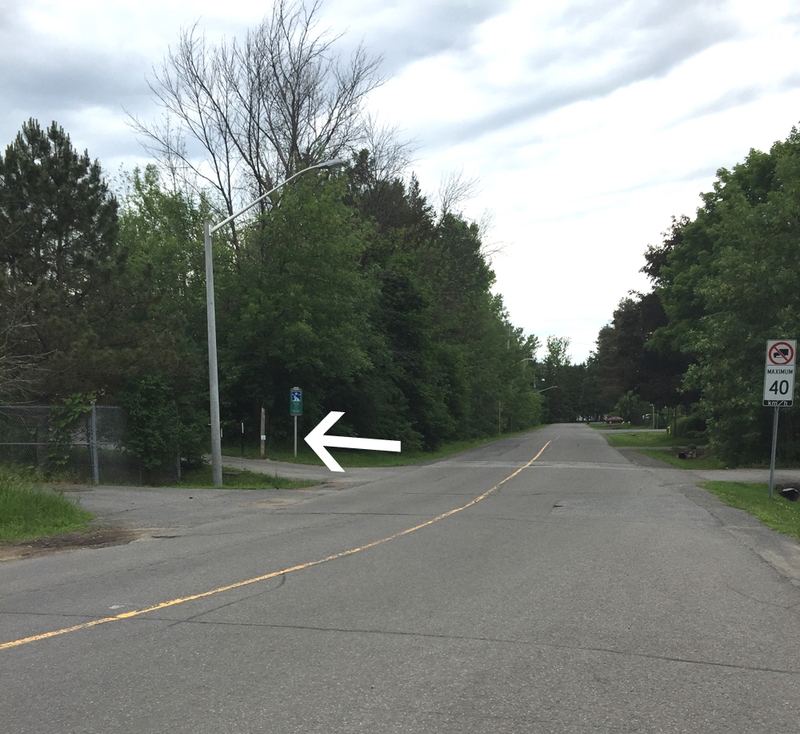 Burke Road is very short before connecting to Carling Avenue. 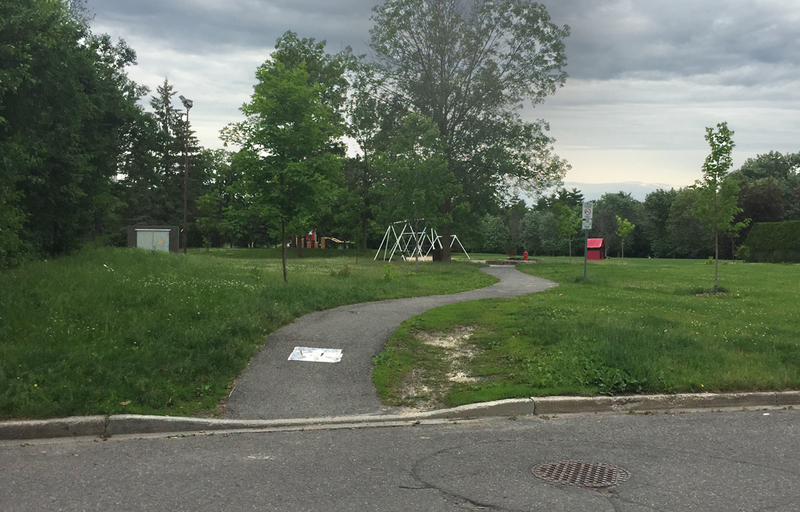 There’s a mostly packed gravel & dirt path across Carling from Burke Road. It can get muddy if it’s raining but otherwise, it’s lots of fun to ride along through a forested area and past a golf course. 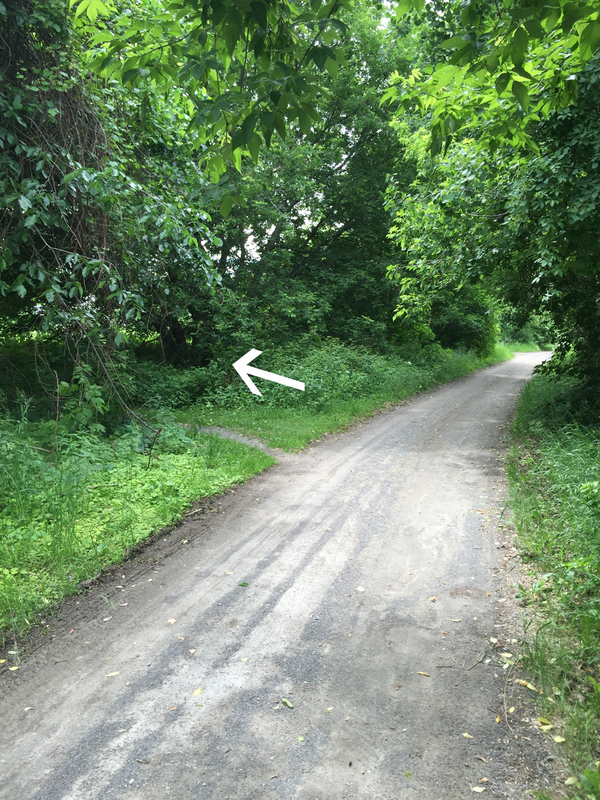 At one point there’s an unmarked left turn onto a narrow path. I missed it the first time round, which wasn’t a big deal because the path reaches Herzberg Road just a bit further on, which you can take back to Terry Fox Drive, as suggested by the pink line on the above map. 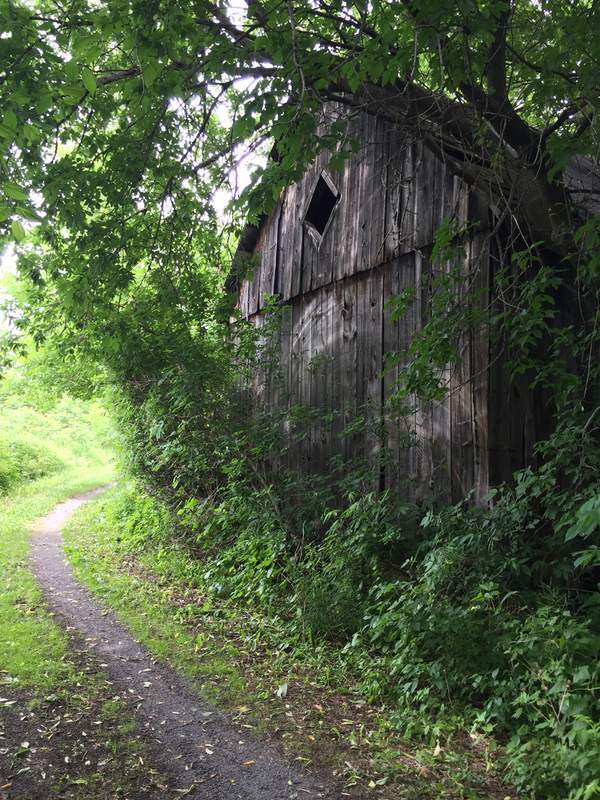 I prefer the short narrow path because it goes by this great old abandoned barn before arriving at where Herzberg Road becomes Terry Fox Drive. 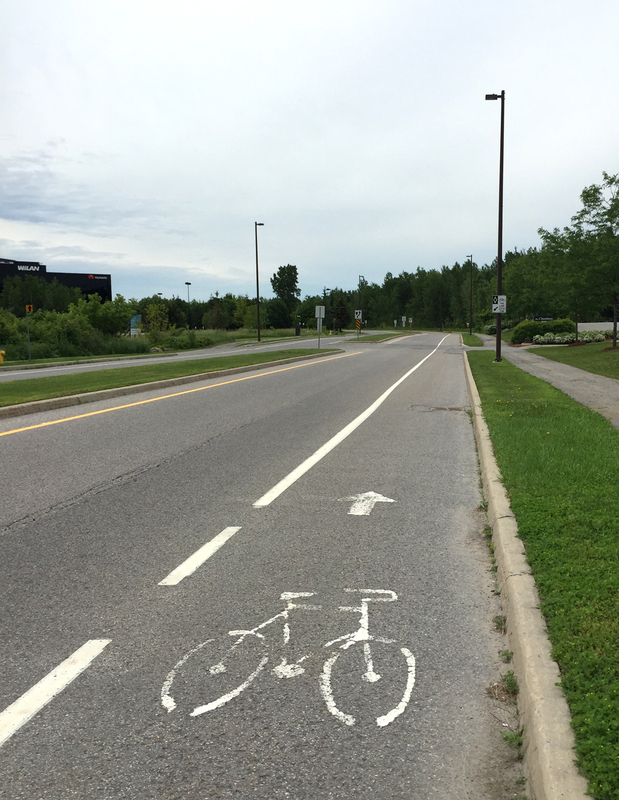 Once arrived at Terry Fox Drive there’s a bike lane I followed the rest of the way to our final destination. On the way back, rather than take the gravel path, I followed the bike lane along Terry Fox Drive/Hertzberg Road, then along Carling back to Burke Road, as indicated by the purple line on the above map. If I’m riding at a time when there isn’t much traffic I may choose to continue along the Carling bike lane beyond the Burke Road turn, however where Carling passes under the train tracks the bike lanes disappear, like so. It’s location is indicated by the green drop pin on the above map. 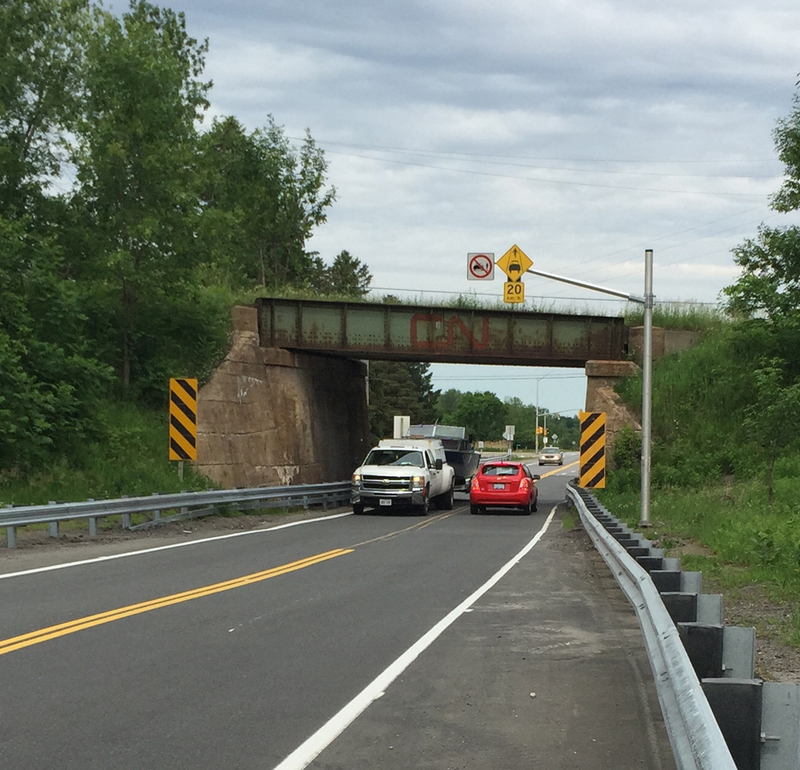 Carling has a lot of speeding traffic, so I usually get back on Burke Road to avoid this tight spot.